The 2010 EUROHOLD Balkan League champion Levski Sofia found a replacement for point guard Bobby Frasor, who left the team. 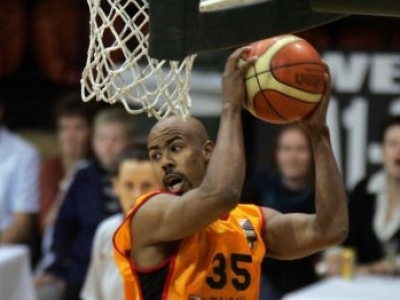 According to their official site levskibasket.com, the newest addition to the team roster for 2010/2011 is another American guard - Jason Crowe. Jason Crowe was born on August 24th 1976 in Inglewood, California. He is a 193-cm tall point guard, who played college basketball at Cal State Northridge. After graduating, he played in the CBA, and in 2002 he signed with BC Kyiv in Ukraine. He has participated two times in the NBA Summer League as a member of the LA Clippers. In 2004/2005 he plays for Kaposvar in Hungary, leaving for consecutive seasons in Iran and Poland. After that in 2007 he transfers to Australia - where he plays 30 games for Gold Coast, averaging 16.8 points, 6.4 rebounds and 5.4 assists. He playes in New Zealand and South America (Mexico and Venezuela), before signing with Dnipro in Ukraine in 2009. He finishes 2009/2010 with 16.7 points, 5.7 rebounds, 2.2 steals and 7.7 assists, and also with the "Defender of the year" award in the Ukraine league.